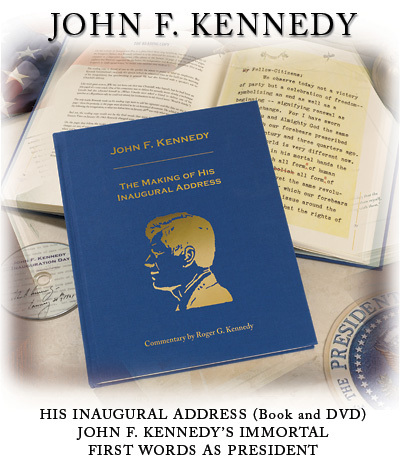 Roger G. Kennedy, the Director Emeritus of the National Museum of American History, Smithsonian Institution, is the author of the main commentary in our book on John F. Kennedy’s Inaugural Address. (Though Roger shares a surname with JFK, the two are not related.) Roger has served under four presidents, including working as Director of the National Park Service for President Clinton. He is also a seasoned observer and historian of Washington and its presidents. It is a masterpiece, the work of a man of first-rate intelligence, magnificently schooled, who had sought and received the aid of other craftsmen of language. But it is not the sheer art of John Fitzgerald Kennedy’s Inaugural Address that moves us. Rather, it lives in our memories with our prayers, our favorite hymns and lines of poetry, because it is a summons we wish to heed, calling us and calling Kennedy himself to service beyond convenience or convention. We do not merely admire that address—we are inspired by it. Other presidents had spoken eloquently to us. Kennedy spoke for us, and not only for those of us who were of his generation, though many of us feel a bond to him. He spoke for us all, of any age, as Americans, sharing across generational lines a commitment to freedom. He gave us a sense that we Americans have a special national history of sharing that commitment with all in the world who desire freedom. There have been bellicose and bullying perversions of that mission in our heritage as well, but Kennedy’s invocation was to the generous spirit of those who created our nation, and those who have sustained it with the aid of our better angels. © 2009 Roger G. Kennedy. 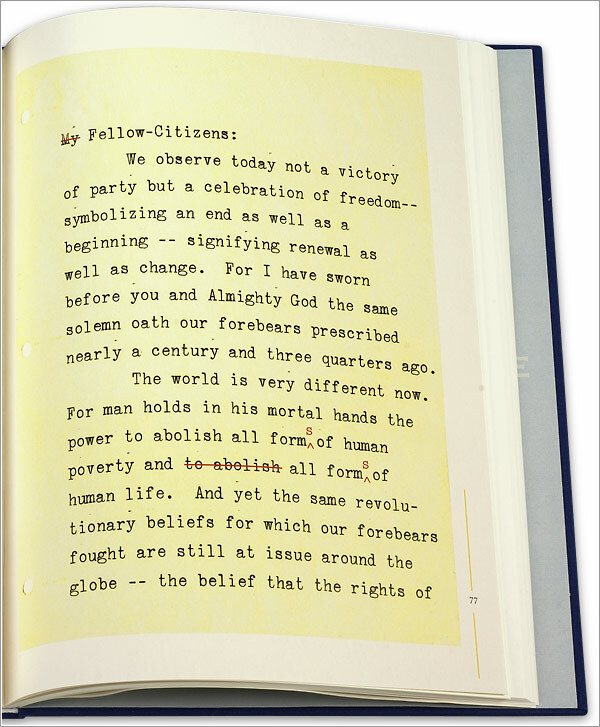 Excerpted from John F. Kennedy: The Making of His Inaugural Address, published by Levenger Press. JFK's immortal first words as president; portions in red show where he changed what he said as he delivered his Inaugural Address. 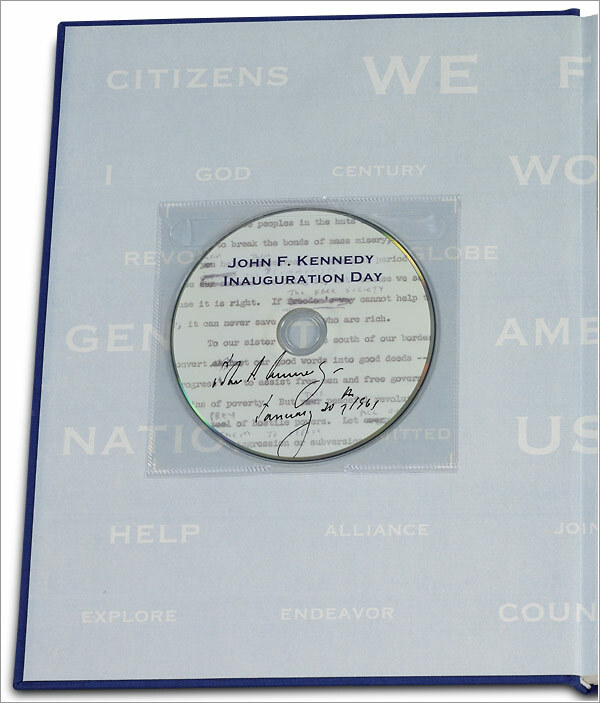 Includes a DVD with color footage of the Inaugural. 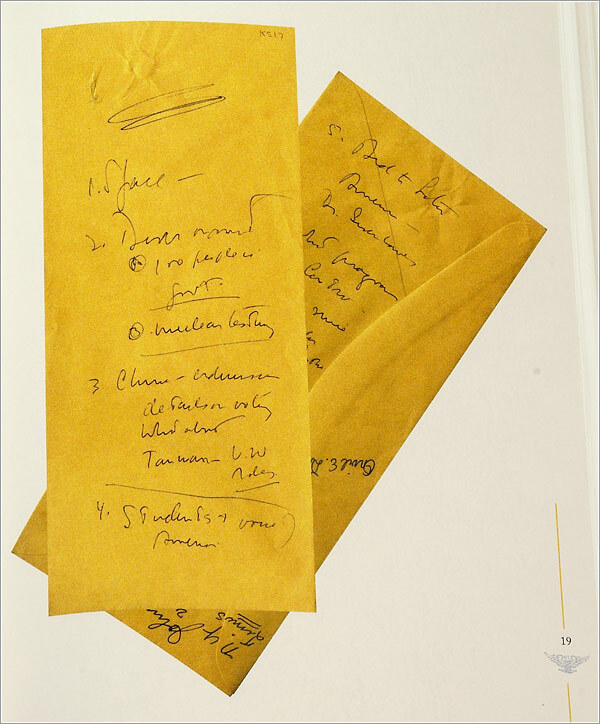 On the endpapers is a concordance cloud of JFK’s speech. 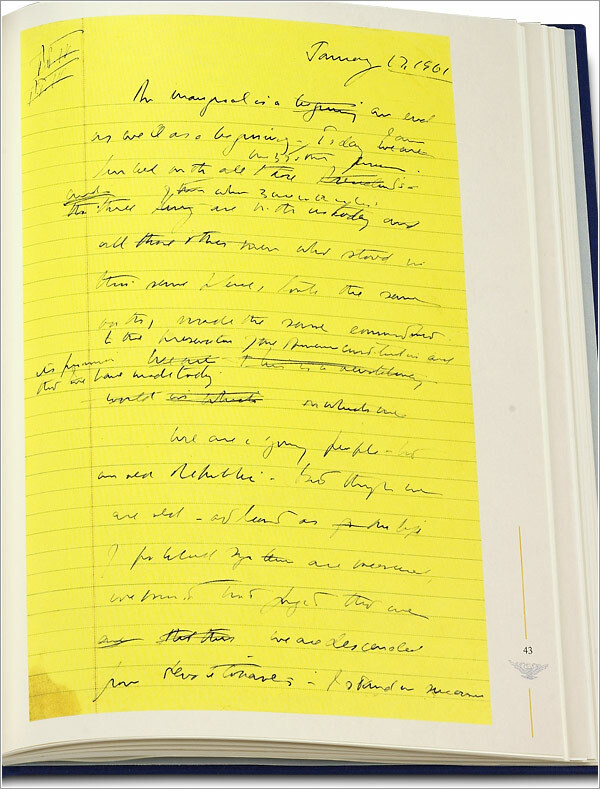 JFK’s handwritten version of the Inaugural is dated January 17, 1961 —three days before he delivered it.